Anniversaries are milestones that we celebrate in life as we reach what are truly significant terms in length of time. One rarely has the opportunity to experience such a grand occasion as we did, when the Brothers of The Ineffable and Sublime Grand Lodge of Perfection of Albany, NY and Masters Lodge No. 5 came together to celebrate a joint 250th Anniversary. These lodges are linked in history as the Lodge of Perfection was established in Albany, NY on December 20, 1767 as the first Scottish Rite Masonic Lodge in Northern America, shortly thereafter a number of the same group of Brothers, in wanting to create their own Blue Lodge established Masters Lodge No. 2 (now No. 5) on March 5, 1768. These two lodges came together to celebrate this momentous occasion on April 14, 2018. 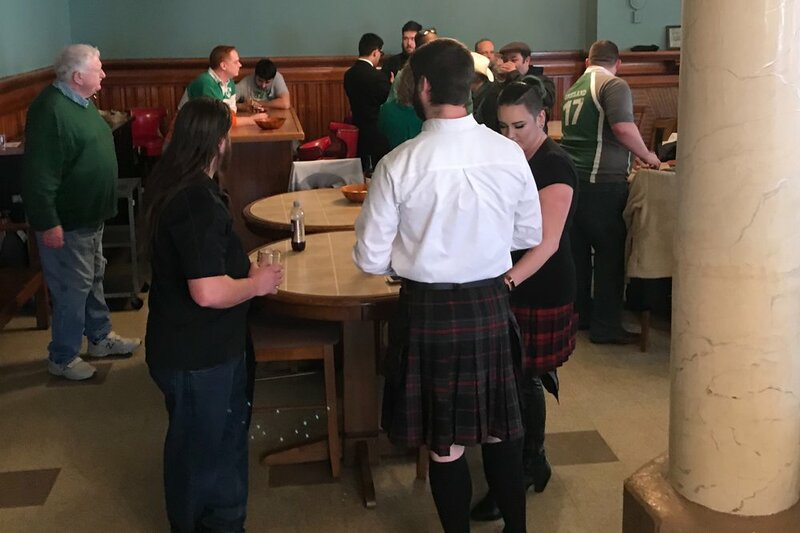 The Albany Masonic Temple doors were opened at one o'clock in the afternoon as Brothers, ladies, and guests were welcomed with drinks and hors d’oeuvre. At two o'clock, we invited guests to join us in the Ten Eyck Room for a historical presentation by W. Michael Hernandez of Mt. Vernon Lodge No. 3. His presentation discussed the founding of the Lodge of Perfection and its connections to Masters Lodge No. 5 (2) as well as the vast amount of historical figures connected to both lodges. Following the historical presentation we convened in the 4th floor Scottish Rite Auditorium for the presentation of the historical Prince of Mercy Degree by the Valley of Albany. This degree was at one time part of ritual and had been replaced by a more historically accurate degree. The Valley chose to present this to the audience as it discusses an observation of Masonry by Abraham Lincoln, a non-Mason, in conclusion of the Civil War. In his observance he was able to see the importance to the meaning of a “brother Mason” regardless of which side of the war a man was on. This was a great way to give exposure to Masonry to an audience that included non-Masons without revealing any of the secrets held within the fraternity. The degree was followed by a series of guest speakers. The Ill. David A. Glattly, 33°, Sovereign Grand Commander of the Scottish Rite, Northern Masonic Jurisdiction spoke on Scottish Rite Masonry and the importance of the founding of the Lodge of Perfection in Albany as the first North American Scottish Rite lodge. We were then joined by Assemblywoman Patricia Fahy who presented a joint legislative resolution to both lodges. Next, the Mayor of the City of Albany Kathy Sheehan, who presented a Proclamation declaring April 14th a celebration of both the Lodge of Perfection and Masters Lodge. We moved back down to the Ten Eyck Room where we were joined by Congressman Paul Tonko who also presented a resolution to both lodges. At about four o'clock, the Most Worshipful Jeffrey M. Williamson, Grand Master of Masons in the State of New York as well as the Grand Lodge Officers of the State of New York honored Masters Lodge No. 5 with a Rededication Ceremony. The importance of this ceremony again displayed how great of an achievement it is for a lodge to reach such a historical age in North America of 250 years. 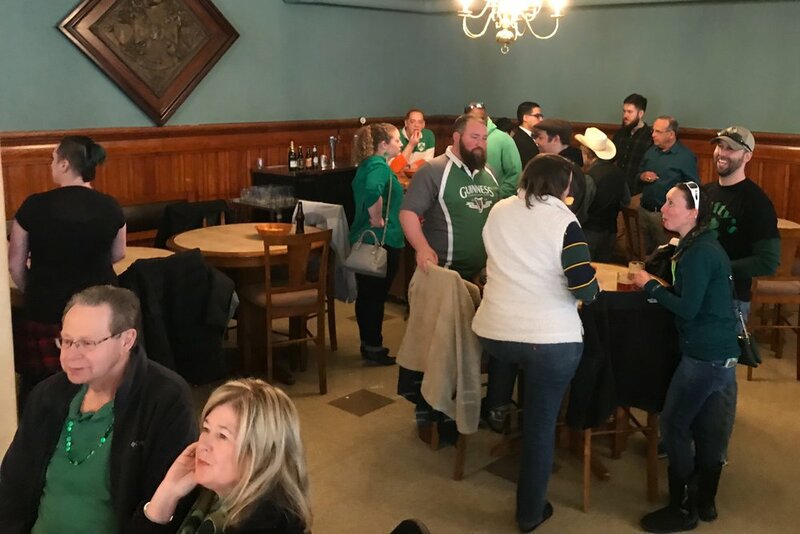 A banquet was held across the street at the Albany Hilton and the day’s events concluded as the guests were invited back to the Masonic Temple for Brotherhood and drinks. On behalf of all the Ineffable and Sublime Grand Lodge or Perfection and Masters Lodge No. 5 I would like to thank all who helped make this historical day an event to remember. Masters Lodge has been busy this past year, but you wouldn't know it from visiting our blog! Dear readers, while we've been talking amongst ourselves, it's past the time for us to fill you in. Our 250th anniversary celebration is now less than a month away, and dinner reservations are due (as I write this) next week. I've posted the flyer at the top of this post with more information. In addition to our Monday night stated communications, we've hosted a number of social events in the past few months. I wanted to share with you some photos from these occasions. We're looking forward to hosting more events and letting you know about them in the future! Ringing in the Holiday Season. But not for long. The first meeting of Masters Lodge is next week. Our officers are hard at work perfecting their ritual in preparation for this Masonic year. "MASONRY is an earnest fellowship of tried and true men, cognizant of human failures in the past, conscious of human limitations in the present, and animated by the loftiest human aspirations for the future. That Mason who best understands the real, the esoteric meaning of our gentle philosophy, is best equipped to further the highest ideals of brotherly love, relief and truth, for which Masonry stands. The sleeping giant of Masonry is awakening at last. The Spirit of Masonry is permeating the Mighty Fellowship, arousing them to the call of humanity in a time of trial, the like of which this generation of the Sons of Men had never thought to face." Lets Have A Party Albany! Happy 330th Birthday to the City of Albany! The Men of Masters Lodge #5 have been meeting in Albany for 247 years. Here's the original copy of the Dongan Charter for all you history lovers out there! Here's a few pictures from Day Three of the Statewide Preservation Conference hosted by: The Albany Masonic Temple. This conference brought together hundreds of historians, preservationists, and others from throughout New York State, and is a forum for sharing ideas, networking, and celebrating successes in preservation efforts. Many thanks to all who helped make this conference a success, and to all those who attended!! The First Annual Masters Homebrew! 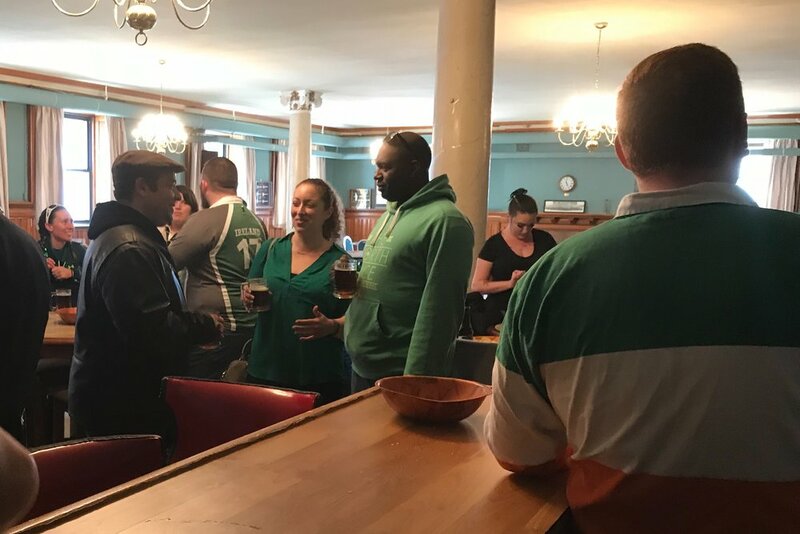 This weekend the Masters men got together to hose the first annual Masters 5 homebrew. We brewed several different batches of The Old Tyre's English Brown and Masters Black Tie IPA. Just in time for our 250th anniversary! This is our 1868 Centennial Chart, a visual representation of the first 100 years of Freemasonry in Albany, New York. It was discovered in the attic of Mrs. Lucille Canter of Greensboro North Carolina and presented to us in honor and memory of her husband Mr. Lewis A. Canter senior 32nd degree Master Mason of Guilford Lodge number 656 Greensboro North Carolina. This donation was arranged with pleasure and honor by Colonel Charles A. Jones United States Marine Corps Reserve (Retired) Master Mason of Greensboro lodge "Old 76"
Our lodge historian gives a short lecture on "Washington, the Revolutionary Freemason" before the brothers of Masters Lodge. We kicked off our night infront of the Washington portrait in celebration of our first presidents birthday. Happy Presidents Day Masters Lodge! A few Brothers stayed late last night and went on an exploratory mission in our lodge safe. We found a number of interesting items, among them this: our lodge's original charter from 1768. Jack Frost hasn't been nipping at our noses this warm December, but yuletide carols are still being sung by the fire. Happy Holidays from the Men of Masters Lodge. With the spirit of charitably giving guiding them, these Masters Men ring in the holiday season with the Salvation Army at Crossgates Mall. A recital of brother Franklin Delano Roosevelt's December 7th speech on the 74th anniversary of Pearl Harbor Day with the men of Masters Lodge by brother Erik Dollman. "Hostilities exist. There is no blinking at the fact that our people, our territory and our interests are in grave danger. With confidence in our armed forces - with the unbounding determination of our people - we will gain the inevitable triumph - so help us God." Under the Direction of Brother Brendan Boyle and the Guidance of the City of Albany, Masters Lodge held a park cleanup day. We met for breakfast and had a great time putting our collective hands together to make quick light work out of an otherwise full day job. Over 15 Brothers came out and made quick and easy work for the parks fall cleanup. We are all excited to come back in the spring! Although often Freemasonry is very personal to the Brother Mason, some of the most enjoyable times are those times of Fellowship when we come together for reflection and debate. How truly blessed we are to meet upon the level in this amazing building. Enjoying the use of one of the many amazing spaces in the Albany Masonic Temple. Another Masonic year begins and the sound of the Gavel on Stone is again heard. The Secretary is busy. 120 Years ago today, the Albany Masonic Temple had it's cornerstone ceremony. The Masonic Temple's current site on Lodge St. dates all the way back to 1766. This is the oldest continually owned Masonic property in the United States.